This retreat is intuitively guided to combine class-style workshops, meditations, yoga, partner practice & hands-on experience. It has been thoughtfully designed to support you in three areas of vital awakening - Physical, Mental/Emotional, and Spiritual. Students receive focused time to learn, grow, set intentions for the changing seasons, and connect with nature. We will discover how to live with more passion, purpose and positivity in each area of our lives - enhancing our personal journeys into wellbeing. Island Awakening Retreat is situated in a slice of paradise - at an eco bed & breakfast on Bastimentos in Bocas Del Toro, Panama. It is geared toward those who love the outdoors, a local experience, amazing food, and adventure. 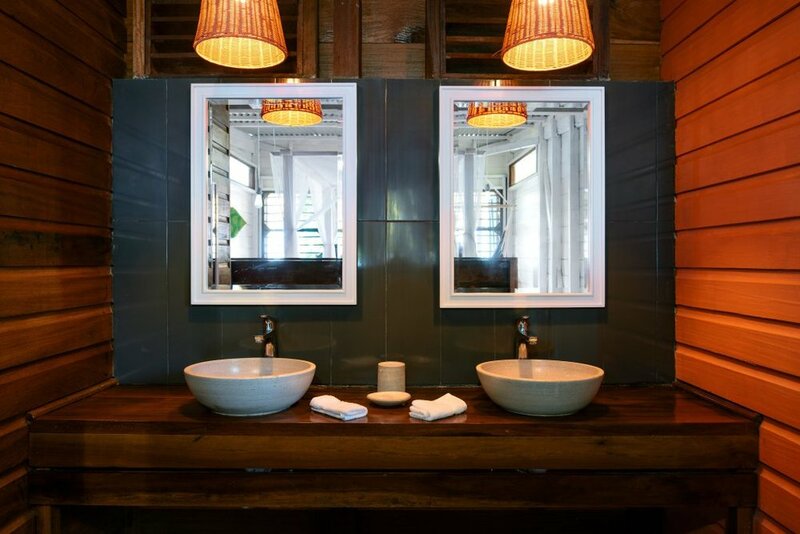 Our locally-built retreat home is boho chic, surf-island home with comfortable interiors, quality linens and a fun vibe. It features an open air waterfront restaurant + bar, infinity pool and lounge area complete with sun loungers, daybeds & hammocks is the perfect place to reconnect, unwind and play! At the end of the retreat, you will be a Reiki Level 1 -or- 2 Certified Practicioner (depending on your current level of certifcation or desire for re-attunement). We'll explore how to utilize the learned tools and techniques as healers and practitioners, bringing balance and healing into our lives and the lives of others. Locally-sourced gourmet breakfast, lunch, 3-4 course dinner, smoothies and snacks. ALL meals included except 1 lunch/2 dinners to allow for exploration + local sampling! Omnivore/herbivore menus available. Our body is communicating with us every moment of every day, quietly (yet persistently!) giving signs and signals of where it is functioning at its absolute best and where it could use a little help. In our daily Hatha flow, we will first learn how to clear away static in the channels of communication and tune into the infinite wisdom of our body. Then, we will explore kind, intentional, powerful movements to support physical wellbeing. The result is an immediate alleviation of tension, stress and dis-ease, and an awakening of vibrant energy. Learn an ancient meditation practice that is scientifically proven to reduce anxiety, lower blood pressure, improve overall health, reverse the seeds of illness, expand self-awareness, increase brain function, super-charge innovation, inspire creative problem solving and allow you to live with unshakeable compassion for yourself and others. Together, we'll dispel the misconceptions about meditation, and help you develop a daily mindfulness practice that will support you all year long. An immersion for those ready to advance on their Spiritual path and serve themselves and the world by accessing this powerful energy-healing modality. Reiki means "Universal Life Force Energy" which comes from the divine and is connected to every living being. It travels through the practitioner, to heal on all levels – body, mind and spirit. Reiki is a very subtle, warming energy, inducing a state of relaxation and rejuvenation. It has the ability to harmonize energies, release blockages, accelerate healing, assist in cleansing toxins, treat chronic and acute physical conditions, enhance creativity and develop a deeper self-awareness. *Schedule is tentative and subject to change as best supports the overall retreat experience. —you are a foodie who is always looking forward to their next meal. Our host restaurant is tops in Bocas for a reason and they believe in sourcing locally and organically whenever possible. —you enjoy traveling to rustic, off the beaten path types of places in a beautiful, natural setting yet you want to return to a super comfy memory foam mattress ,a hot shower and a room where attention has been paid to the details. Island Awakening Retreat is a very intimate experience. Only 10 spaces are available to ensure all guests have a powerful, personalized, hands-on experience - particularly with our Reiki Attunements + Certification course. Register early to secure best pricing and ensure your space. ON NOV 16, all rates will increase by $200. Payment Plans may be arranged upon request. Please email monica@soulbare.com with inquiries. Until January 31, 2019 - cancellations made within 7 calendar days from the time of booking will be allowed a full refund, less $250 administration fee. After 7 days, you are eligible for a 50% refund of funds paid. 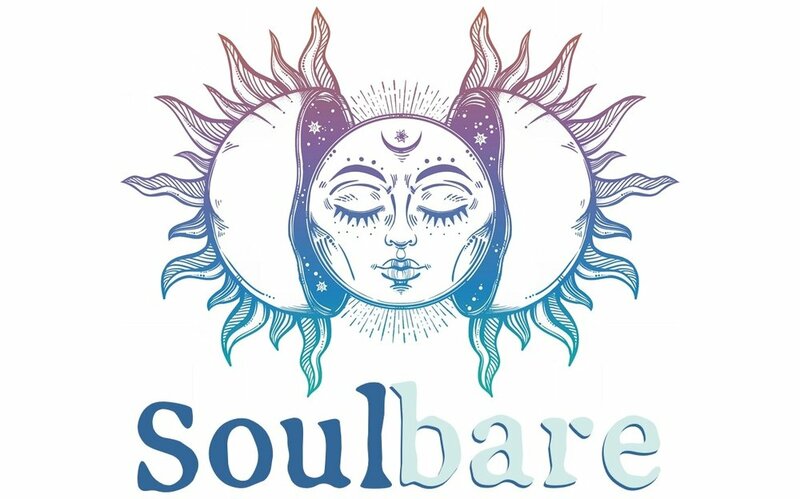 February 1, 2019 and after - cancellations made any time after booking will not receive a monetary refund, but will receive $400 voucher towards standard pricing of any future retreat, workshop, private session or other arranged Soulbare offering(s). Have questions? Good! We're here to help! Email monica@soulbare.com to explore this or other offerings. We begin at 5:00pm CST on Sunday, March 31, 2019. You may check in to our beautiful host venue anytime after 2pm. If you are traveling from outside of Panamá, I HIGHLY recommend that you plan to arrive to Panamá a least a day early on March 30. Travel in Central America can be unpredictable and take longer than expected. The retreat ends at 11:00am CST on Saturday, April 6, 2019. If you wish to come early or stay late, let me know and I will be happy to help arrange. for international guests -- How do I get there? 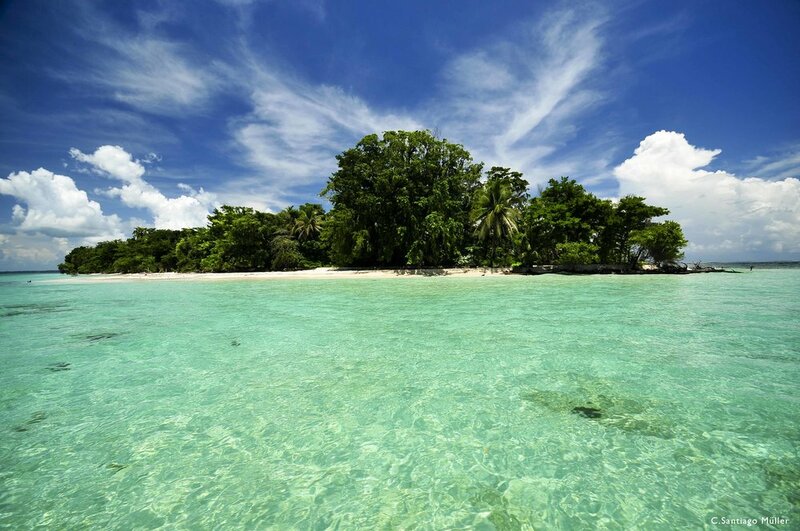 Our retreat takes places on Isla Bastimentos, one of several islands in the chain of Bocas del Toro. You can reach Bocas by air from either Panama City, or San Jose, Costa Rica. You can also reach Bocas by land through the port town of Almirante. Almirante is connected to other parts of Panama & Costa Rica by taxis & private shuttles. Panama City is a Central American hub and has tons of flights going in and out from all over the world. Major carriers fly into Tocumen Airport (PTY), the international airport in Panama City. Once there, you must take a taxi from PTY to the domestic airport (the smaller airport 35 min away) to get to Bocas Del Toro. Flights leave for Bocas (BOC) out of Marcus A. Gelabert Airport, commonly referred to as Albrook Airport, the smaller, domestic airport 35-40 min away from PTY. The taxi ride across town costs $30-35. Please verify with the driver before you get in the taxi. I’m happy to help arrange a private driver if desired. Flights typically depart Panama City everyday at 6:30am and 3:30pm with multiple flights added throughout the day in high season. The flight is about 45 minutes and is operated by Air Panama. www.airpanama.com Sometimes the flight will make a stop in Changuinola before Bocas. Don’t get off there. **Note: In high season, AirPanama tickets sell out VERY quickly. Be diligent in checking the site if the tickets for your month aren’t yet for sale. They tend to start 6 months out. If you are having difficulty buying tickets online with Air Panama, contact Jose Palm at Palm Travel, palmtravel@cwpanama.net He has amazing connections to the airline and can get it done quickly. He also does not charge a fee for booking your flights. He will ask for your passport info so have that handy. When flying to Bocas, please note that you must arrive in Panama City by noon/12:30 in order to make the afternoon flight (3:30pm) to Bocas. Otherwise, you must stay the night in Panama City. You must take in to account an hour in customs/immigration and then 40 minutes drive into the city to get to the domestic airport you will fly out of to get to Bocas-Isla Colon. Once you arrive at the Bocas Airport on Isla Colon, you will be greeted by a taxi driver who will take you directly to the boat dock. And you’ll be on your way to the retreat venue, The Firefly. It’s a 10min beautiful boat ride. The local currency in Panama is the Balboa, however US Dollars are used more frequently. No need to exchange $ if traveling from the US. ATM's are abundant in Panama City, but not in the islands of Bocas/Bastimentos. Plan accordingly. If I arrive in PANAMA before the retreat begins, where should I stay? I highly recommend experiencing Casco Viejo, a gorgeous colonial part of Old Panama. The town is partially restored to immaculate vintage glory, and partly conserved ruins. It's stunning, albeit a bit pricey and touristy. There are many hotels (www.booking.com) and Airbnb options available. Casco is just a short 5min cab/uber ride to the Albrook Airport, which will make your departure for Bocas very easy the following morning. -- Comfy Clothes! In which you can move well, breathe well, and just BE. It will be warm, so you won't need much! -- A Sacred Item for our SoulFam Altar. Anything special and sweet that represents a piece of your heart... a crystal, a special photo, a souvenir, spiritual momento, family heirloom, etc. -- Umbrella or light rain jacket. March/April is not yet technically "wet season" but we are in the islands, so you just never know! -- Toiletries and your own personal essentials. If you forget something, no worries. You can purchase just about anything you'll need in town. -- Bug spray and sunscreen are available on the island, but we recommend Reef safe sunscreens. Help save the Reefs! You'll receive a special Retreat Journal upon arrival (spoiler alert! ), so no need to bring a notebook. Expect temps of 78+ degrees during the day and high 60's at night. Plan accordingly. As for the educational classes, you will be required to attend each Reiki Workshop in order to receive your Level 1 or 2 Certification.